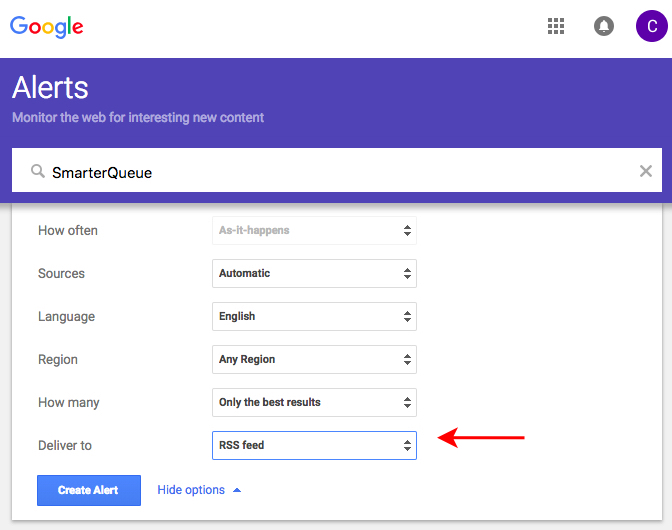 Google Alerts are a great way to stay up to date with the latest updates on the web. It works great with RSS readers like SmarterQueue because you can get all updates in one place. Before pressing Create Alert, press Show options. In the Deliver To option, change your e-mail to RSS Feed. This will take you to the RSS Feed page. Copy the URL in the URL bar. 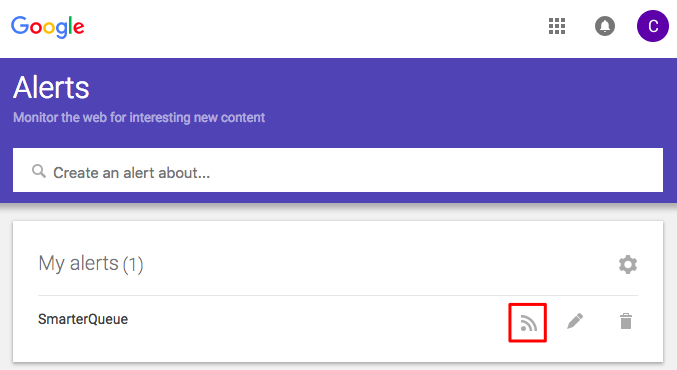 Paste the URL into the Find Content page of SmarterQueue. From here, follow the regular steps for importing from RSS.